What you can expect when the gates drop on AUS Supercross 2018. There’s a lot of excitement surrounding the Australian Supercross Championship ahead of season 2018, which will be led by AUS SX Holdings – organiser of Sydney’s famed AUS-X Open. The landmark agreement between AUS SX Holdings and Motorcycling Australia (MA) sees the Port Melbourne-based business take charge of the series commercial rights, working in with event operators Bannan Promotions and Troy Bayliss Events before their very own AUS-X Open event caps off the season. 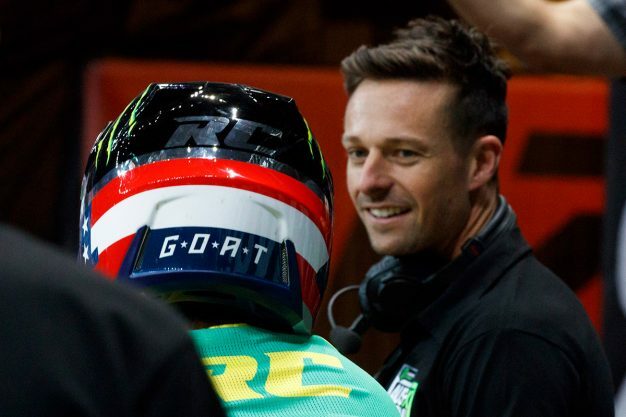 In our most extensive two-part interview yet, MotoOnline.com.au details the five-round championship with AUS SX Holdings co-director Adam Bailey to get the scoop on what we can expect once the gates drop in September. To begin with, what are some of the direct improvements and benefits we can expect to see as a result of AUS SX Holdings taking charge of the Australian Supercross Championship commercial rights from 2018? There are a lot of things that we are working on and it’s going to be a long, drawn-out process. We’re not claiming to be able to fix the world overnight – Rome wasn’t built in a day – but I guess the first reasoning was to bring a centralised strategy. We felt like that hadn’t been there for some time, because since having multiple promoters is a good thing, but there’s not been that central strategy for the sport and the series, where it’s going and how to improve it. That’s across so many different areas, being first and foremost, the brand of the championship itself. Second is the media and PR component, how we make sure that the standard and therefore the reach of the series and the sport in general is improved. As you know, that’s probably been an area lacking previously. We see our role to step in and take control of that, so that there’s consistency and professionalism and that media start to pay more attention to what we’re doing. Ultimately, it’s so we get more exposure through all platforms throughout Australia and around the world. That’s obviously been a strength of ours and one that we really wanted to bring to it. 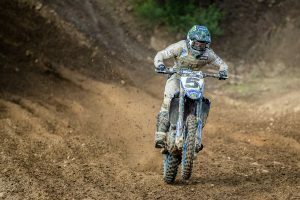 The other is from a racing and riding standpoint, the tracks and safety – issues that are important to riders. We are trying to improve participation and we want to see people wanting to race supercross again. To me, the motivation and hunger for that has died off quite a lot. There’s just not been enough opportunity for them to practice, it’s been a bit too dangerous and there is a whole list of things that you could talk about why participation numbers are down. We really want to address those things, see what it is that’s stopping privateers or young kids from aspiring to be the next Chad Reed. Why are they giving up on that dream? There were guys like him, Michael Byrne, Andrew McFarlane and Brett Metcalfe, etc, back in the day with that dream to take on the world. Riders these days don’t seem to have that dream, that aspiration, or they think it’s out of reach. In the long term, we want to help them develop and provide more opportunities so that our riders are the best in the world. While Chad is a bit of a freak of nature, there’s no reason why there shouldn’t be more Dan Reardons, Hayden Mellross, Jackson Richardsons and those types of guys who have been to the US and had some solid results. There just hasn’t been enough opportunities for them to race at the standard that they need to race at to compete over there. Overall, to summarise, it’s a matter of helping the industry grow to give those guys the opportunity to be some of the best in the world, so that we have a succession plan for when Chad does go ahead and retire. How long is this initial agreement with Motorcycling Australia? It’s at least five years. We’re not going anywhere in the short-term and it’s certainly a long-term strategy. We hope that we’re around a lot longer than that, but again, the purpose is to slowly and incrementally improve on all of these elements that we’re talking about, so that in less than five years time, hopefully the sport is in a much healthier position. Tell us about AME Management’s expanded involvement in the Australian championship, in terms of improved media and communications strategies. These are crucial elements of the series’ growth and we’ve already witnessed what you can do with AUS-X Open, as well as your Supercars clients, etc, in broader terms. AME is our main business and our day-job. Before running AUS-X Open, we did event management yes, but also PR, media, communication, content production and sponsorship. Really, where we’ve involved AME is in that media and communication front, to try and take a lead for the series. AME is essentially the media and communications agency representing the Australian Supercross Championship, which it also is for the AUS-X Open, brands like Monster Energy, Milwaukee Tools, Holden Motorsport, etc, so we feel like AME is great at what we do in that sense and we want to bring that over to the Australian Supercross Championship. We want to bring what we’ve learned in other industries, particularly Supercars, which is obviously a series that we aspire to reach, but obviously there are things that we can do and they can’t do. We will see how we can apply what we’ve learned from that and the AUS-X Open to the broader sense of the sport. Why does the series have three different event promoters? 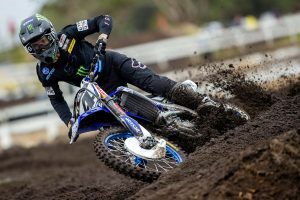 Bannan Promotions runs Jimboomba and Coolum, Troy Bayliss Events is in charge of the Geelong and Port Adelaide rounds, plus you guys will directly host the AUS-X Open again in Sydney. It came about before our time, before we did the first AUS-X Open. 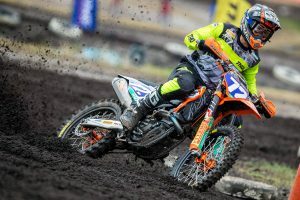 It was a strategy implemented by MA originally and the reason for that is because running supercross events are incredibly hard work, very risky from a financial standpoint. There was no one promoter at that point willing to step up and take the whole series on due to that risk, so by having multiple promoter groups it allows each of them to split the risk, focus on our own core events and therefore the aim is to end up with more high-quality events since people aren’t spread as thin. That’s the real reason for it, to spread the risk across multiple promoters. There are a mixture of venue types in the schedule. What’s your take on each of those and what can we expect into the future? That’s a good question and there are definitely a mix of venue types. What we have to recognise as a sport, as an industry and hopefully the fans recognise that running supercross is incredibly expensive for pure reasons like venue hire, transport of the dirt and those kinds of logistical things. It’s a matter of necessity to have some permanent venues, which is something that’s being explored because a venue like Jimboomba is so practical, it remains all year and there’s not the added costs. The disadvantage is that generally permanent tracks aren’t as close to population, which is the trade-off and whilst they save a lot of costs, they’re not as metropolitan where they are, even though Jimboomba still gets a great crowd. Geelong on the other hand, on the complete flip-side, there’s a huge amount of costs in venue hire and transporting dirt in and out, plus the AUS-X Open is a whole other level again because the venue is just so expensive. In Sydney you have to transport four to five thousand tons of dirt basically overnight and then out of it right afterwards, so it’s just not practical for every venue at this stage of the game with the sport’s profile. We just can’t have them all in high-risk venues like that, so to try and use permanent facilities is to lower the risk for promoters and provide a more stable series. It’s an ever-changing thing and we obviously hope that Geelong will be a success because they are investing heavily in a great venue and, for us, AUS-X Open is the same. It’s a matter of finding the balance in taking the sport to the people in a centralised stadium, but the reality of it is financially that it may not be possible all the time. The goal is that, hopefully, the sport builds over time in commercial credibility and then you may see more temporary venues utilised more because there’s a bit more security in the expectation of crowd numbers, sponsorship revenue increases and those kinds of things. 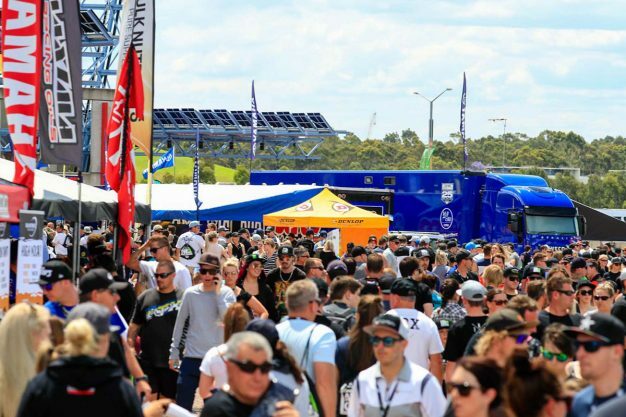 One thing casual observers may not immediately recognise is the fact that Troy Bayliss Events is also the company behind the country’s major motorcycle exhibitions – the Sydney Motorcycle Show and Moto Expo Melbourne. They bring a lot to the table in terms of widespread industry experience and relevance, don’t they? Exactly. And that’s why they were a great choice, to be honest. They do a great job with those events and Mark Petersen, who is the partner of Troy Bayliss, has been around a long time. He’s a great operator and a great guy, so he gets the industry and already has a relationship with all of the brands. Plus, Bayliss is a legend of racing who has been around forever, so they bring both credibility and that stability. Most of all, for us, they bring professionalism and that’s exactly what the sport needs. They’re delivering on their sponsorships, going to great venues and they’re going to promoter properly and heavily, which helps to lift the profile of the series and that’s ultimately what we’re looking for in promoters. A, they need to survive in today’s climate, and B, they need to lift the standard of the series, which those guys definitely can. And, for this year, the AUS-X Open returns to being the final round of the championship. Is that the ideal situation, to ‘finish with a bang’ as such? Definitely. That’s always been our goal and we were disappointed not to be the final round last year when we really wanted to be. It’s great to have that back and it means that for the championship, the champions can be awarded in front of a sell-out crowd with television exposure and at the standard that they deserve. That’s a great thing along for the series and, therefore, for the riders and teams to be able to sell to their sponsors. Ultimately, our responsibility is to give them a platform that they can help sell from as well. 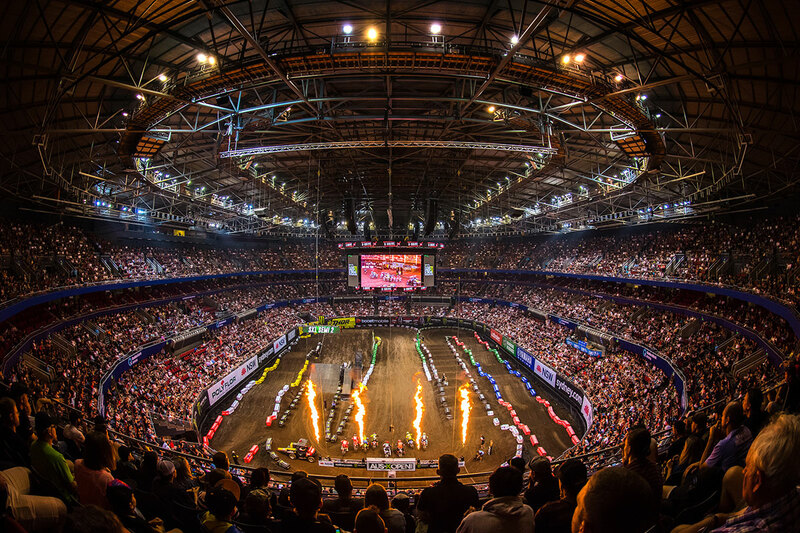 The word was that AUS-X Open almost transferred from Sydney’s Qudos Bank Area – a venue that we’re honestly major advocates of – to Etihad Stadium in Melbourne. What light are you able to shed on that? I guess, what we would say, is that contrary to what people might believe, we’re always looking at venues and different locations and Etihad is definitely one that we’ve looked at multiple times. We get some funny feedback at times like we’re completely unaware of these stadiums, but the reality of it is that it has to add up financially. If it can’t, then we can’t go there. With Etihad, there is hundreds of thousands of dollars in additional costs to use a venue like that, so we have to weigh up if it will be viable and it’s not a case of ‘if you build it, they will come’. If we moved to ANZ Stadium, next door in Sydney for example, which is an amazing stadium, we will not fill that stadium – the sport just isn’t there yet to justify the additional cost. 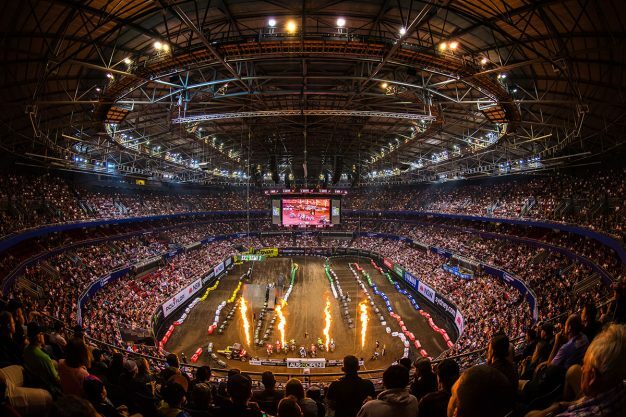 So, while we are always assessing venues, where we are now at Qudos Bank Arena, we 100 percent believe it is the best venue for racing based on where the sport is at. It provides an incredible entertainment platform, the best viewing for spectators and it provides bar-to-bar action. We’ll always look for other opportunities and Etihad was definitely one of them, but until we could make it stack up we will stay where we are and still believe it’s the best option. At last year’s AUS-X Open, Tony Cochrane was announced as chairman of the company. How is that association going and what advantages have been evident so far? It’s been amazing. Having Tony involved is really, for us, like having a full-time personal trainer for business. He’s an absolute guru in what he’s achieved and what he’s done – there’s nobody in this country who would be more suited to guide us in what we do because he’s been there. When he created Supercars, he did that with 60 grand and sold it for 300-plus million dollars. He turned it into the sport that it is today and had massive challenges along the way, so he’s overcome those things, took it internationally and has done everything in business that we would aspire to do. In every decision we make, he still leaves us to make the final decision and it’s always up to us, but he certainly guides us in everything we do and we rely on his advice a lot. You’ll see in a lot of things to come, a lot of the advancements that we’ve made, are largely due to his advice, guidance and coaching. What developments, if any, have there been in regards to an international expansion as suggested at the time? Our goal is to be running multiple international events in the future and we’ve made a huge amount of progress. Hopefully we will be able to make some announcements in the near future on other destinations and the progress that we have made, because we’re certainly a hell of a lot closer than what we were at this time last year. Watch this space! Part two now available via this link.